Let me hasten to say that Patty de Llosa is no tyrant for she is not the least bit tyrannical in person! She may be a woman of firm judgement, but her judgement and deportment are tempered with a sense of considerable presence. In some ways she is mild-mannered; in others, very direct in manner – a working combination of opposites. In person, and in print, she exudes the power of concentration. Although based in New York City, she has numerous contacts in North and South America, and is a frequent and welcome visitor to Work centres in Toronto and elsewhere. As an editor and writer, Ms. De Llosa is making a genuine contribution to “Parabola,” the quarterly magazine published by the Society for the Study of Myth and Tradition, now in its 36th year. She is the author of a valuable and highly readable memoir titled “The Practice of Presence” (issued in an attractive edition by Morning Light Press in 2006). In its pages she discusses five formative influences on her life. She calls these the “Five Paths for Daily Life” – T’ai Chi & Taoism, Jung & Individuation, The Teaching of Gurdjieff, Prayer & Meditation, F.M. Alexander’s Mind / Body Integration. I now associate the word “tyrant” with Ms. De Llosa because of the title of her new book. To be sure, Ms. Llosa is a tyrant-tamer rather than a tyrannical being herself. 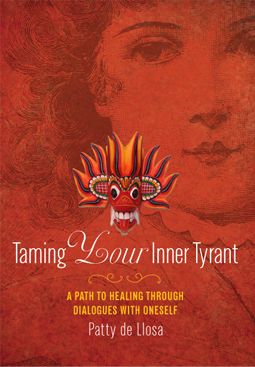 The book is titled “Taming Your Inner Tyrant” and it bears the subtitle “A Path to Healing through Dialogues with Oneself.” (From now on, I will try to resist thinking of her as a pith-helmeted, lion-taming Clyde Beatty, wielding a mighty bull-whip!) Here are some bibliographical details. The volume is a handsome trade paperback, 5.75″ x 8.5″, xviii + 214 pages, with a striking cover in an unusual shade of crimson which features a devil-mask that seems Middle or South American or Tibetan or Whatever! It is an all-purpose mask, fierce and fiery, evocative of the “Indian-giver” nature of depictions of powerful entities and deities in tribal art. 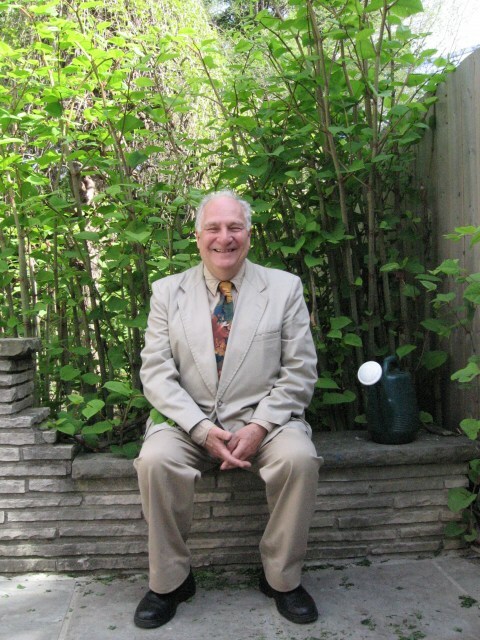 The publisher a new one to me: A Spiritual Evolution Press, 8 Luccarelli Drive, Holmdel, New Jersey 07733, U.S.A. The company’s website < www.aSpiritualEvolution.com > was not up-and-running when I last checked. The author’s website is an active one < www.tamingyourinnertyrant.com >. The book’s ISBN is 978-0-9822323-1-6. The two epigraphs neatly skewer Ms. Llosa tyrant, “a hypercritical judge who monitors your every word and action, and tells you what’s wrong with you.” In the Introduction she writes about her very own inner tormentor, or tormentors, and how over the decades of her life she tried to come to terms with this inner demon, or these inner demons, principally employing the insights of Carl Jung’s “Active Imagination,” Marion Woodman’s notion of “the wounders and the wounded,” pharmaceuticals, disciplines like T’ai Chi, etc. It is the present reviewer’s preference to refer to such a demon as “an impersonality” rather than as “a personality” – an “It” rather than a “He” or a “She” – because its essential nature is mechanicality. It can be counted upon to behave surprisingly, as if devilishly programmed. But Ms. De Llosa has found it more effective to personify or anthropomorphize these powers or presences or abilities (or disabilities) in order to deal with the legion of them. By following in the footsteps of Jung, she goes about “stripping them of their power.” She does this in an unusual way, which I will try to describe. The seventeen chapters in effect recount the story of Ms. De Llosa’s life, which took her from her childhood in New York City to married life in Lima, Peru, and then back to New York City where she was the sole support for her three children. She worked with distinction as a writer and editor for Henry Luce’s publications. Hovering over the narrative are her parents, Louise and William Welch, who were very active in the Gurdjieff work in New York City, Toronto, Halifax, and presumably other centres as well, where their memories remain ever green. In the pages of “The Practice of Presence” she writes autobiographically. Of particular interest is how at the age of fifteen years she met Gurdjieff at the Wellington Hotel in January 1949. The meeting left a lasting impression. (The story of the eight silver dollars that he presented to her as a challenge is a Work classic.) But in the present book, it is inner disturbances and difficulties that are highlighted, if that is the verb to use to refer to illumining “the dark side” of the human personality. Here the reader will encounter detailed descriptions of the specific approaches that she developed to handle these ever-present, ever-irritating tyrants of negativity. In doing so, she drew on the teachings of Gurdjieff and Jung, T’ai Chi and the Alexander method, etc. Ms. De Llosa’s “tyrants” may be seen variously as “personality fragments,” archetypes, roles, complexes, secondary personalities, “other selves,” etc. The author wisely steers clear of a single definition of the dynamics involved, for she is most concerned with recognizing their presence within her personality or psyche. She does so, chapter by chapter, in terms of her own experiences. She gives these tyrants labels or names – like Woman in a Coma, the Frightened Child, Nice-Guy, and Mrs. Rigid – and then she proceeds to converse with them, questioning them, and in the process disarming them. Each chapter comes in three parts. The first part of a chapter consists of a straight-forward description of a painful episode in the author’s life. Readers will identify with these difficulties because they are neither common nor uncommon but characteristic problems and wounds, traumas and injuries, of our time. The second part of each chapter takes the form of a dialogue between the author’s conscious self and one of her unconscious selves. Here the author’s questions appear in italics, and the answers that were given to her appear in bold italics. The third part of each chapter adds an unexpected dimension to the book, a contribution that alone is worth the list price of $14.95. This unique feature consists of advice, in bold type, about the general attitude one should take to one’s self, one’s problems, one’s possibilities, and everyday living. Chapter 14 offers a good instance of the three-part work in progress. The chapter is titled “Woman in a Coma” and it begins with a short description of the advent of the feeling of inertia, sleepiness, and indecision that will overcome most people, usually later in life, often in the early afternoon. Following the description is the exchange in dialogue form. It may seem innocent enough on the surface, but there are surprises beneath the surface. Q. “Why am I afraid? How can I live more in balance?” A. “Know whom you serve.” The response sounds a little like the one of those replies generated by the Ouija board, but this is only one exchange in a series of about three dozen in that chapter alone. Indeed, whom does one serve? The responses provoke thinking and evoke feeling. The unique feature in this chapter consists of a series of separately titled paragraphs. Each paragraph offers a different “take” on the situation. There are nine “takes” for this chapter and these are, in effect, nine meditations, each one a single paragraph in length. The first one seems reasonable enough: “Accept Inner Division.” The second one may seem debatable: “Only gentleness can deal with fearfulness.” The third one strikes me as very relevant: “Challenge the attitude that life is an ordeal.” The fourth one makes a distinct psychological contribution: “Question reactions, look for responses.” I could continue to summarize the rest, but instead will jump to the ninth which goes like this: “The benefit of the doubt is real, too.” These meditations are a singular and irreplaceable part of this book. So when I think about Patty de Llosa, the conditioned response I have is to think about her as a tyrant-slayer, Clyde Beatty. But that is wrong because that is not what “Taming Your Inner Tyrant” is about. It is about learning to live with one’s contradictions, with these “presences” that Freud called “reaction formations” and Jung termed “enantiodromias.” The attractive characteristic of “Taming Your Inner Tyrant” is that the author’s approach is a awesome flowering from the tangled roots of the possibilities, contradictions, setbacks, and successes of her own life. This flowering offers readers the fruits of her own, hard-won wisdom – principles and procedures and approaches that will prove to be useful to every attentive reader.